How it works - jttmonaghan.com FAILTE! WELCOME! 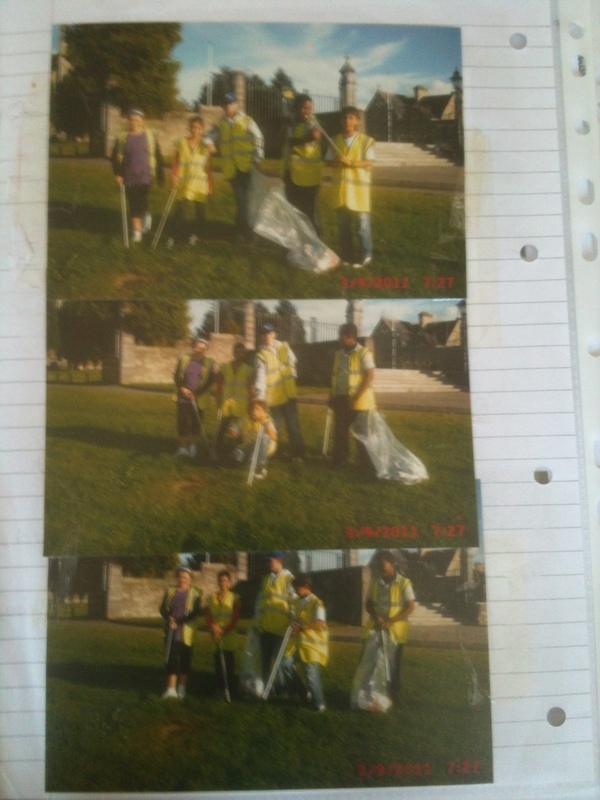 Junior Tidy Towns Monaghan has been set up with a special log and reward system for participants. 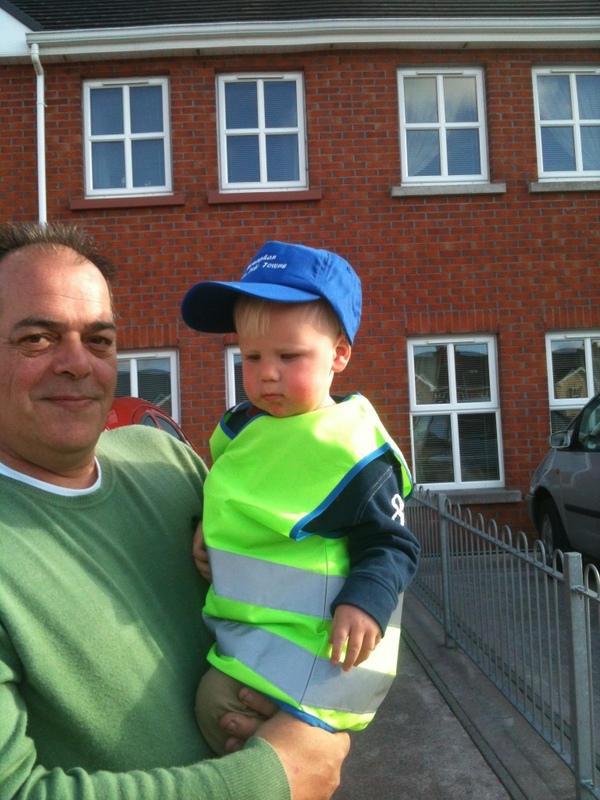 We organised this after it was agreed at the first meeting of JTT in Cluain Lorcain estate early in 2010. Every JTT has a log book and each time a child or young person goes on an activity such as a litter pick or a workshop, a sticker is placed after their name in the book. In this way we can easily see who has completed the most activities. 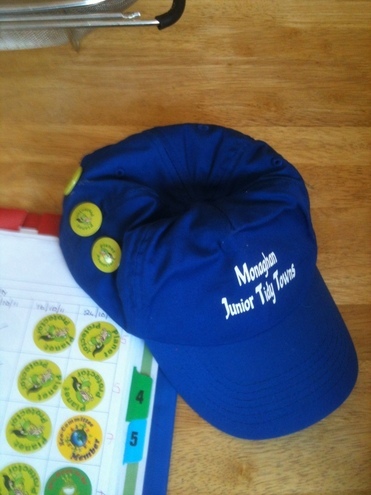 After earning four stickers each participant gets a badge and after eight activities they earn a Junior Tidy Towns baseball cap in Monaghan blue with Monaghan JTT on the front. 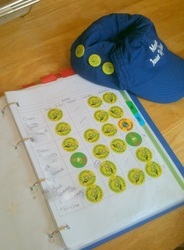 Further badges earned can then be attached to the cap. These caps are very proudly worn by those who have earned them. Every month or so we have crisps and drinks at the end of our litterpick. 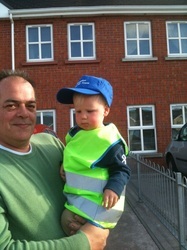 These have been kindly sponsored by Sams Bridge Petrol Station, Coolshannagh. Thank you to Sams Bridge! 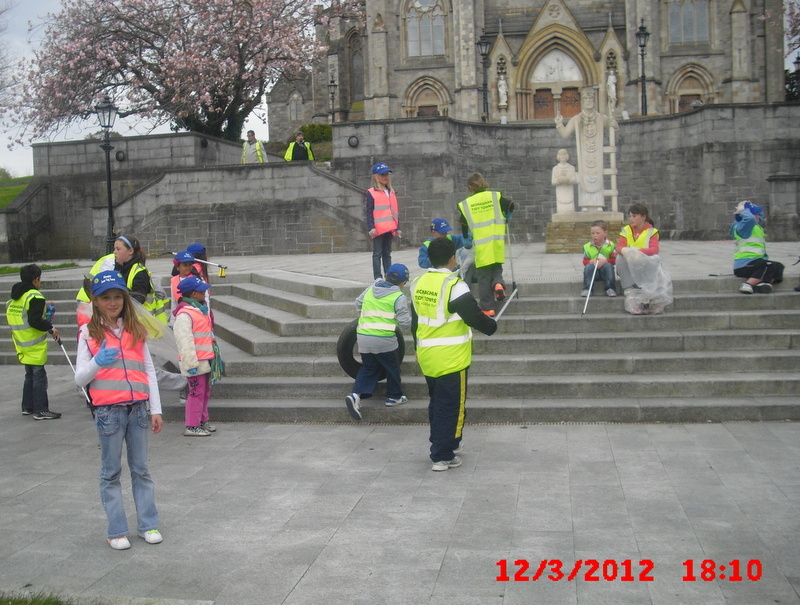 For long serving JJT kids we have organised trips to GR8 activity centre and Tayto Park. Further summer camp activities are organised with the help of the council in the summer. 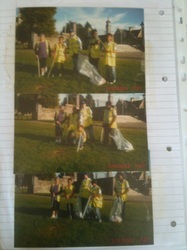 Our log book also contains photos of activities and other evidence. Many thanks to Elaine for keeping it all up to date. Well done to all our JTT kids for all their hard work!